Surveying from the air using a UAV – Unmanned Aerial Vehicle, also called a drone, is the modern way of surveying and creating very accurate digital 3D models. By using modern drone and camera technology, high-resolution aerial images can be recorded from which 3D models of an object or a landscape can be calculated. Drones are used for large-scale projects, e.g. for creating 3D models of buildings, construction sites or agricultural areas. It is a very fast and cost-effective alternative to the well-known 3D measuring methods. These resulting images can be quickly and effectively processed and over the Internet, the data can be easily accessed on PCs and smartphones. Satellite images and data can be several years old. An efficient drone flight allows you to capture current images, that form the basis for plans and 3D models. In addition to planning security and, among other things, asset valuation and agricultural estimates are essential. With the help of photogrammetry, an up-to-date inventory is made, which can then be taken without much effort for many different processing calculations. This procedure saves time and money. Drones enable accurate modeling of buildings, factories and surfaces. Flying with drones is a huge relief, especially for buildings or large areas that are difficult to access, as they can be carried out efficiently and inexpensively. Also the change of an area (restructuring of an area, agricultural green areas and so on) within a certain period of time can be observed and analyzed. These analyzes can help planners, architects, farmers and municipalities to better assess and plan their projects. 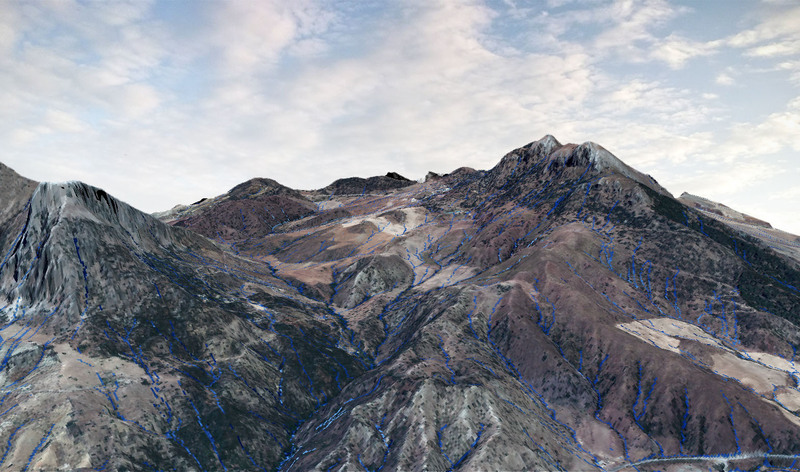 We offer DTM – Digital Terrain Models with a resolution of down to 1cm. This makes it possible to classify surfaces (buildings, vegetation, bodies of water, etc.) for landscape, architectural and agricultural analyzes such as runoff models. If you want to know more about our service, you can contact us directly.